Claim Denials - What You Need to Absolutely Know? Tired of Tracking Claim Denials?? Physician practices lose thousands of dollars annually because of claim denials. However, what many practices don’t realize is that denials can be mitigated or even prevented altogether simply by establishing a denial management strategy. During times of decreased reimbursements, increased payer scrutiny, and the recent transition to ICD-10, no practice can afford to ignore denials any longer. Ideally, practices should maintain—at most—a 5% denial rate. However, in many practices, this rate is unattainable due to the lack of a formal strategy to track denials and improve them over time. This article provides 5 tips that practices can use to track denials most efficiently. 1. Know why denials occur. The bad news is that denials are inevitable. The good news is that the majority of denials are preventable. Preventable denials include those that occur due to registration inaccuracies, ineligibility for insurance coverage, invalid diagnosis or procedure codes, incorrect modifiers, incorrect information provided by the patient, incorrect charge bundling, lack of timely filing, expired credential or provider enrollment, lack of medical necessity, or omission of authorization or referral. Knowing why—and often—these denials occur is the first step toward making change. 2. Develop a spreadsheet for tracking purposes—and keep it updated. Tracking this information allows practices to understand the bigger picture in terms of denials management and also dig more deeply into the data to effect change. For example, is the denial rate due to one particular provider’s poor documentation? 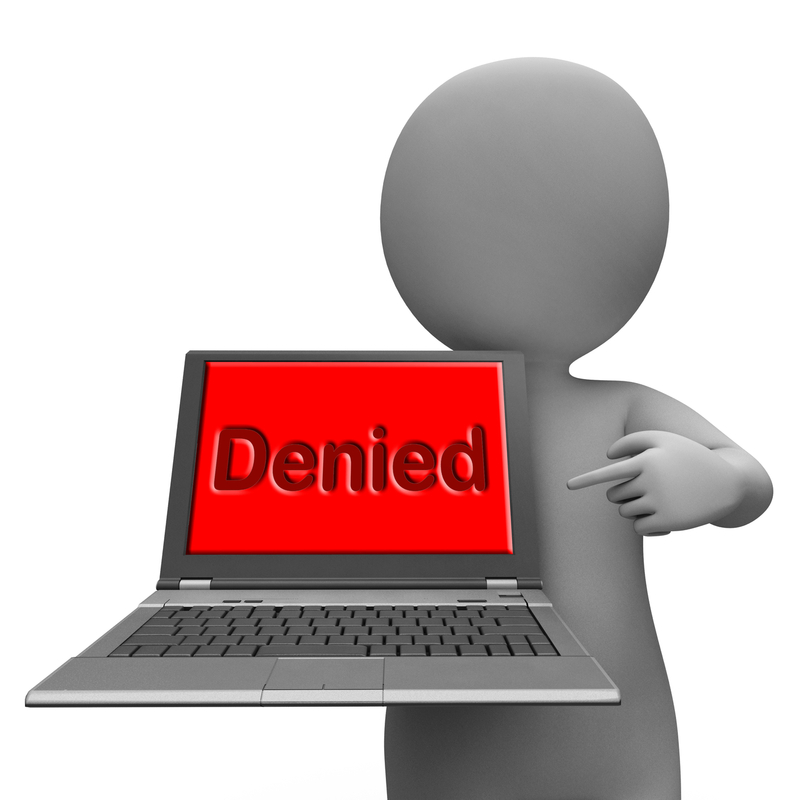 Are there specific reasons why denials typically occur? If so, it becomes much easier to implement targeted interventions to address each problem. 3. Know what to do once denials occur. Correct and resubmit the bill—Call or email the payer to better understand why the denial occurred and what you need to do to correct it. Ask how the practice can avoid these denials going forward. Initiate an appeal—Increase the efficiency of the appeals process by drafting an appeal template that can be customized to each individual denial. Bill the patient directly—This may be an option if the patient has signed an Advanced Beneficiary Notice (ABN) and/or the practice’s policy is to hold patients financially responsible for any services that aren’t covered by their insurance company. Write-off the bill—Use this option when it’s clear that the practice cannot collect for services rendered. This might occur because there is no insurance coverage, an ABN wasn’t signed, or the practice chooses not to bill patients directly. Track each of the actions taken once a denial occurs. Does the practice correct and resubmit bills most of the time? If so, perhaps additional education is necessary for coding staff members who may be submitting incorrect or non-specific codes. Or perhaps physicians require education about payer documentation preferences. Does the practice initiate appeals frequently? If so, the practice manager might need to request a formal conversation with payers. If write-offs occur frequently, the practice may want to determine whether it is feasible to continue to render certain services for which payment isn’t obtained. Also be sure to track the outcomes. What percentage of the time is the practice successful with appealing denials? How often do patients pay? All of this information can provide critical insights into the performance of the overall revenue cycle. 4. Prioritize denials for greatest impact. Give priority to denials that are either high-dollar or that require quick turnaround time according to payer guidelines. It’s helpful to create a grid or cheat sheet with payer contact information, schedule for filing deadlines, appeal guidelines, and appeal timeframes. 5. Consider denial management and decision support tools. These tools analyze remittance advices and identify the root causes of denials, allowing practices to make informed and data-based decisions. These tools also help practices benchmark performance against specialty-specific analytics. The best way to address denials is to avoid them in the first place. According to the MGMA, it costs $25-$30 to manage an average denial. To avoid these costs, practices must identify the root cause before claims are sent. It all starts with a denial management strategy. Information is power, and information can help practices mitigate denials once and for all. To find out how our denial management processes and solutions can help improve the bottomline of your practice, contact RevenueXL today.